Stephanie Hicks was hired in 2009 by the Tuscaloosa Police Department (TPD) as a patrol officer on the West Alabama Narcotics Squad and worked temporarily as an undercover agent. Hicks learned that she was pregnant on January 6, 2012, and informed her Captain and asked what the policies were for pregnant employees. She was informed that no policies were in place for pregnant employees and the Chief stated that it was at the discretion of her supervisor, as reported in a Federal Judges Order last October. On August 8, 2012, before going off on leave, Hicks received her annual evaluation and her overall performance was evaluated as "exceeds expectations." Hicks then took 12 weeks of FMLA beginning mid-August 2012 for the birth of her child and on November 26, 2012 returned to duty. Hicks was reassigned and demoted to a less desirable unit in December 2012, after only six days back on the job. She was also required to be on patrol and to wear a bullet-proof vest. On her doctor's orders, Hicks requested a desk assignment because wearing the vest would “impede milk production or cause infection.” Her request was denied, and she was given the choice of wearing a larger vest or working without one, the Judge wrote. Hicks resigned in January 2013, and filed suit against the City under the Pregnancy Discrimination Act and FMLA Retaliation among other claims. A federal court jury, on February 19, 2016, found in favor of Hicks and awarded her $374,000 in damages, finding that the City violated the Pregnancy Discrimination Act by making working conditions intolerable and engaged in FMLA Retaliation, which compelled her to resign. There is now a room designated for women who need to use a breast pump at TPD headquarters and two at City Hall. Common Sense Counsel: It's unlawful to take adverse employment actions against an employee because she insists on her right to take a break and lactate or for expressing breast milk at work. And with most adverse employment decisions, bad timing is the mother’s milk upon which this substantial jury verdicts rest. Although the new ordinance adopted by the Council of the City of Birmingham on February 9, 2016 (see below), by its language, applies to private businesses the Alabama Supreme Court has held in the past that requiring private employers to grant paid military leave violates the Alabama Constitution. See White v. Associated Industries of Alabama, Inc. 373 So.2d 616 (Ala. 1979)(the requirement that employers pay their employees for 21 days a year Guard or Reserve service when they do not work alters working hours and pay provisions in violation of Alabama constitutional provisions forbidding impairment of contracts Art.1 section 6, the due process provision, and Art.1 section 22, the impairment of contracts provision of the Constitution of Alabama, 1901). It likely that the Birmingham City Council Ordinance will be found unconstitutional as an impairment of private contracts under Art.1 section 22 of the Constitution of Alabama, 1901. It is also likely the Alabama Legislature will intervene to withdraw the City’s authority in this area. The Council may have predicted the final outcome in the last sentence: "The City Council hereby declares that it would have adopted this section, and each and every subsection, sentence, clause and phrase thereof not declared invalid or unconstitutional, without regard to whether any portion of the ordinance would be subsequently declared invalid or unconstitutional." 1) "Employ" means to suffer or permit to work. 3) "Employee'' means any individual em- ployed by an Employer and who performs at least twenty hours of work within a calendar year while physically present within the geo- graphic boundaries of the city of Birmingham for an Employer. 4) "Wage" means any fixed regular payment made on a regular basis, typically on an hourly, daily or weekly basis, made by an employer to an employee for work or services. 5) "Minimum wage" includes all Wages, Commissions, Piece-Rate, and Bonuses received by the employee and shall be governed by the rates set forth in Section ll(B)(ii) of this ordinance. 6) "Piece-Rate" means a price paid per unit of work. 7) "Tip" means a verifiable sum to be presented by a customer as a gift or gratuity in recognition of some service performed for the customer by the employee receiving the tip. 9) "Effective Date" shall have the meaning set forth in Section V of this ordinance. (i) Employers shall pay Employees no less than the applicable minimum wage rate provided for in this chapter for each hour worked within the geographic boundaries of the city of Birmingham. the minimum wage then in effect under this section, the minimum wage then in effect under this section shall be increased to the same amount as the federal minimum wage, effective on the same date as the increase in the federal minimum wage and shall be in- creased in accordance with this section thereafter. Employers may consider tips as part of the wages of tipped employees, but such a tip credit may not exceed 50% of the minimum wage rate established pursuant to this Ordinance. Employers shall pay tipped employees a direct cash wage of not less than 50 percent of the minimum wage rate established pursuant to this Ordinance, provided that the combination of the cash wage paid directly by the Employer and tips received by the Tipped Employee totals no less than the minimum wage rate, with the difference be- ing made up by the Employer. An employer who elects to use the tip credit must inform the affected employee in advance and must be able to show that the employee receives at least the minimum wage rate specified pursuant to this Ordinance when direct wages and tips are combined. The tips received by an Employee become the property of the Employee and may not be shared with the Employer, except that this provision does not preclude a valid tip pooling or sharing arrangement among employees who customarily and regularly receive tips. Any employer that fails to pay the minimum wage required under this chapter shall be required to pay the employee the unpaid wag- es together with an additional two times that amount as liquidated damages. Any Employee who is paid less than the minimum wage established under this Ordinance may bring a civil cause of action against his/her Employer for the full amount of wages due from the Employer in any court of competent jurisdiction and, upon prevail- ing, shall be awarded any appropriate legal or equitable relief, including: unpaid wages and an additional two times that amount as liquidated damages; reinstatement; actual damages; civil penalties; and reasonable attorneys' fees and costs. An employee need not exhaust administrative remedies before bringing an action nor shall an investigation of an employer by the department or other law enforcement officer bar a person from bringing an action. In addition to the civil remedies provided directly above, any Employer found to have violated any of the minimum wage provi- sions shall be subject to a civil penalty not to exceed $100 per day, per Employee who fails to receive the minimum wage as set forth in this chapter. If a civil penalty is imposed pursuant to this section, a citation shall be issued which describes the violation which has occurred and states the penalty for the violation. If, within fifteen (15) working days from the receipt of the citation, the affect- ed party fails to pay the penalty imposed, the City of Birmingham shall initiate a civil action to collect the penalty. The civil action shall be taken in the court which has juris- diction over the location in which the viola- tion occurred. Any Employer found to have violated any of the minimum wage provisions may be required to reimburse the City of Birmingham for any costs associated with its investigation of, and enforcement measures against, the Employer. It shall be unlawful for an Employer or any other party to discriminate in any manner or take adverse action against any person in retaliation for exercising rights protected under this Chapter. Rights protected under this Chapter include, but are not limited to: the right to file a complaint or inform any person about any party's alleged noncompliance with this Chapter; and the right to inform any person of his or her potential rights under this Chapter and to assist him or her in asserting such rights. Protections of this Chapter shall apply to any person who mistakenly, but in good faith, alleges noncompliance with this Chapter. Taking adverse action against a person within ninety (90) days of the person's exercise of rights protected under this Chapter shall raise a rebuttable presumption of having done so in retaliation for the exercise of such rights. The Legal Department or other city agency as designated by the Mayor are authorized to promulgate rules and regulations regarding the interpretation, application and enforcement of the ordinance and are authorized to receive any complaint regarding a possible or suspected violation of this Ordinance and further authorized to take appropriate steps to enforce this Ordinance including, regard- less of whether there is a complaint, investigating any possible or suspected violation of this Ordinance. In addition, where violations of this Chapter have been found by any judicial or administrative proceeding and where such violations have not been cured through compliance with the order/decision of the governmental entity determining same, City agencies or departments may, after notice and an opportunity for a hearing, revoke or suspend any registration certificates, permits or li- censes held or requested by the Employer until such time as the violations of this Chapter are remedied. If any subsection, sentence, clause or phrase of this article is for any reason held to be invalid or unconstitutional by a court of competent jurisdiction, such decision shall not affect the validity of the remaining portions of this ordinance. The City Council hereby declares that it would have adopted this section, and each and every subsection, sentence, clause and phrase thereof not declared invalid or unconstitutional, without regard to whether any portion of the ordinance would be subsequently declared invalid or unconstitutional. This ordinance shall be effective when published as required by law. 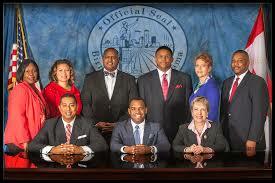 Adopted by the Council of the City of Birmingham on February 9, 2016. Warren Whitted worked as a conductor for Norfolk Southern based in Irondale, Alabama, beginning with his hire in October of 2010. He was seriously injured in a non-work related incident in June of 2011 and took a leave of absence. 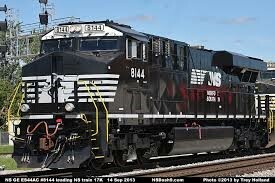 A Norfolk Southern Work Status Report was signed by Whitted’s physician releasing him to return to work as a conductor, without restrictions or accommodations on October 3, 2011, as set forth in his amended federal court complaint. Despite the full medical release, Norfolk stated that it would not allow him to return to work and would need additional medical information specifically regarding Warren’s “orthopedic condition.” Norfolk sent Whitted to a physical therapist that provided the requested information and agreed with the other doctors that Whitted was able to work. Norfolk then sent Whitted, in January 2012, to a field test where the physical therapist and Trainmaster observed him successfully perform the essential functions required of his job as a conductor. In March of 2012, Norfolk’s medical department suggested Whitted have a Functional Capacity Evaluation at Lakeshore Rehabilitation Center. In April 2012, Lakeshore gave Whitted the results of this test, which stated that he had passed. In July 2012, Whitted was sent to Norfolk’s national training facility to again have his ability to perform evaluated and he demonstrated that he could adequately perform the job duties. Even though he was cleared by his orthopedic doctor to work, and by the physical therapist who observed him perform a field test, and by the doctors who performed his Functional Capacity Evaluation, Norfolk continued to refuse to allow Whitted to work. In July of 2012, the medical department of Norfolk sent Whitted a letter stating that he could not come back as a conductor because he had a Traumatic Brain Injury, and was thereby unable to safely perform the essential functions of the job. When Whitted attempted to apply for other open jobs with Norfolk ’s vocational rehabilitation department, he was consistently rejected for multiple jobs because of the same reasons that Norfolk used to keep Whitted from working his job as a conductor. In October of 2012, Whitted applied for a vacant position as a diesel mechanic, but was not even granted an interview. Common Sense Counsel: With the advent of the ADAAA and the expansion of the definition of a disability, an employer’s best chance to defeat a disability discrimination claim may require the employer to show that the plaintiff was not a qualified individual. This case provides a model for how not to raise the “unqualified” defense in defending an ADA claim. Crew One refers stagehands to event producers for concerts, plays, graduations, sporting events, trade shows, and religious events in the Atlanta area. Event producers ordinarily contract with Crew One for a certain number of stagehands and pay the company an hourly rate for each stagehand. Crew One then refers interested stagehands from its database. 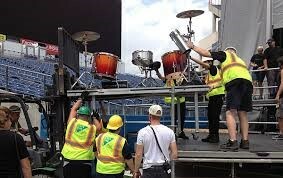 On the day of the event, stagehands report thirty minutes before the client’s call time so that a Crew One project coordinator can confirm attendance for payment purposes and assign them to a particular department, such as rigging or carpentry. The stagehands bring their own basic supplies, and Crew One provides no supplies other than the vests. After work begins, stagehands report exclusively to tour personnel, except that stagehands must sign out with Crew One to record their time of departure. In March 2014, the International Alliance of Theatrical Stage Employees petitioned the National Labor Relations Board (NLRB) to represent stagehands who contract with Crew One. The NLRB determined that the workers were employees of Crew One, which gave the board authority to regulate their relationship and directed an election and subsequently, certified a union. Crew One refused to negotiate with the union which caused the NLRB to find it guilty of an unfair labor practice, which prompted Crew One to ask the Eleventh Circuit Court of Appeal to review the case. 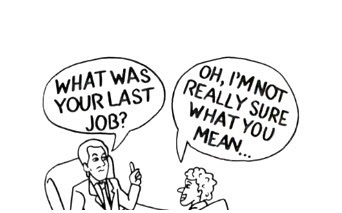 Common Sense Counsel: Next time you are trying to decide how to properly classify someone, as an employee or an independent contractor, understand that the right to control the means and manner of performance is a key factor-with about 20 other factors. You can complete the 5 part AL DOL checklist at www.alabamaatwork.com.